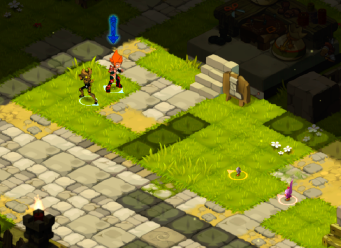 Pets and sidekicks - WAKFU Tutorials - Learn to Play - WAKFU, The strategic MMORPG with a real environmental and political system. 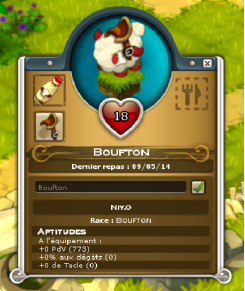 Your pet will accompany you everywhere, including into battle, where it will grant you bonuses (Lock, Damage, etc.). How to get one: You can get pets through quests, as battle loot, as rewards for achievements, or in the Shop. Feeding your pet: If you don’t feed your pet, it will lose Health Points and eventually starve to death! You should feed it regularly – especially since it will gain a level with each meal. Each pet needs a specific type of food. Customizing your pet’s appearance: You can change the color and appearance of certain pets using items for sale in the Shop. Sidekicks should be viewed as extensions of your main character. Even though they are defenders of justice, they are subject to the same rules you are. You can check out all their features by visiting your Sidekick management interface. Here, you can consult their statistics (level, experience, etc. ), their spells, and their equipment. Each Sidekick has its own spells (between four and seven). Naturally, they start out at level 1, but they get stronger the more they fight, and their spells and stats increase automatically. Sidekicks don’t have inventories of their own, but they can wear and use the same equipment as a regular player, so long as it’s suitable for their level. This means they have the same item slots as you (pet, insignia, etc.). 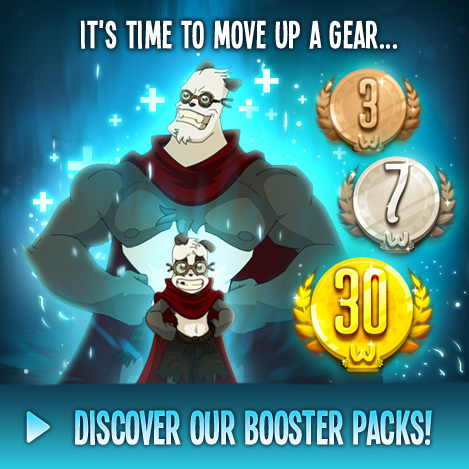 You can’t wait to get out there and conquer the World of Twelve, but you wish you had a Sidekick to help you out… Well, there are several ways to obtain just that! 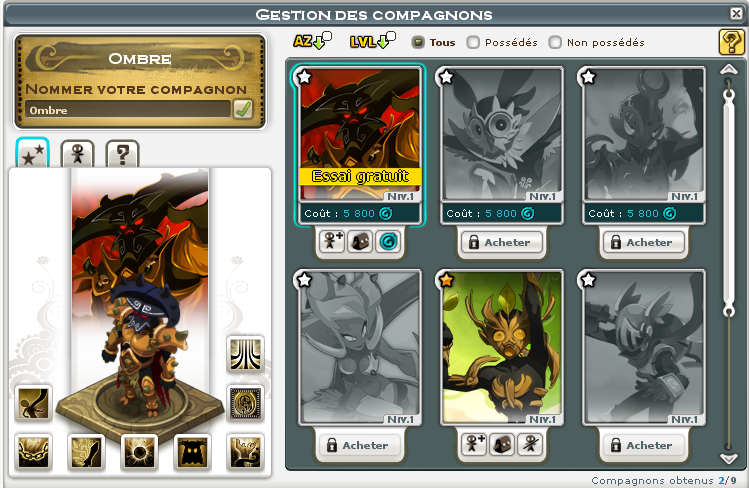 Sidekicks can be bought in the Shop, which is accessible from the WAKFU site or in-game using the Sidekick interface. Once your purchase is complete, the Sidekick will appear in your inventory as an item. Use this item to link your new Sidekick to your character. Complete a secondary quest in Astrub to obtain the Astrub Knight Sidekick. He has four spells and is every bit as powerful as the other Sidekicks! First, add your Sidekick to your group. The group will still be subject to the same game rules as usual, meaning that it cannot exceed six members. Furthermore, you cannot have more than two of your own Sidekicks in your group at any one time. If your group is full, you will not be able to invite any more Sidekicks. Of course, if you’re the group leader, there’s nothing stopping you from kicking out another player’s Sidekick to make room for your own. And if a horrible ego clash occurs and you storm out of a group, your faithful Sidekick will remain by your side. In fact, your Sidekick will never enter a fight without you. If it happens to be a higher level than your character (if you bought it at the marketplace, for example), then its level will be reduced automatically to match yours. After all, you don’t want a Sidekick stealing your limelight! When your main character joins a fight, the Sidekicks in the group will enter the fight automatically. Their starting positions will be randomly selected, of course, but you can easily change that by clicking on them and choosing a more tactical position. The fight works like a normal fight: your Sidekick will count as a player and occupy a place on the timeline depending on its Initiative. When its turn begins, you will control it and choose its actions. If your character dies, your Sidekick will fight valiantly on. Be warned, though: Sidekicks aren’t invincible. Send them into battle too carelessly, and they’ll end up KO too!